Don't tell that to any of the skyscreamers in his comments showing graphs of temperature changes over the past 200 years as if it's a trend, when the Earth is ~4.5 billion years old. (02-10-2019 05:52 PM)Fort Bend Owl Wrote: Of the declared candidates thus far, I'd personally rank them (1) Harris (2) Klobuchar and everyone else way behind those two. Of the ones to come, the only ones for now I think I would consider voting for are Biden and Beto. I'm basing this primarily on who I think has the best chance to win. Still early though and a lot could change in the months to come. I'll never understand the beato phenomenon. losing a senate race seems to get you a lot in the dem party these days. Didn't Lincoln lose a senate race before becoming President? 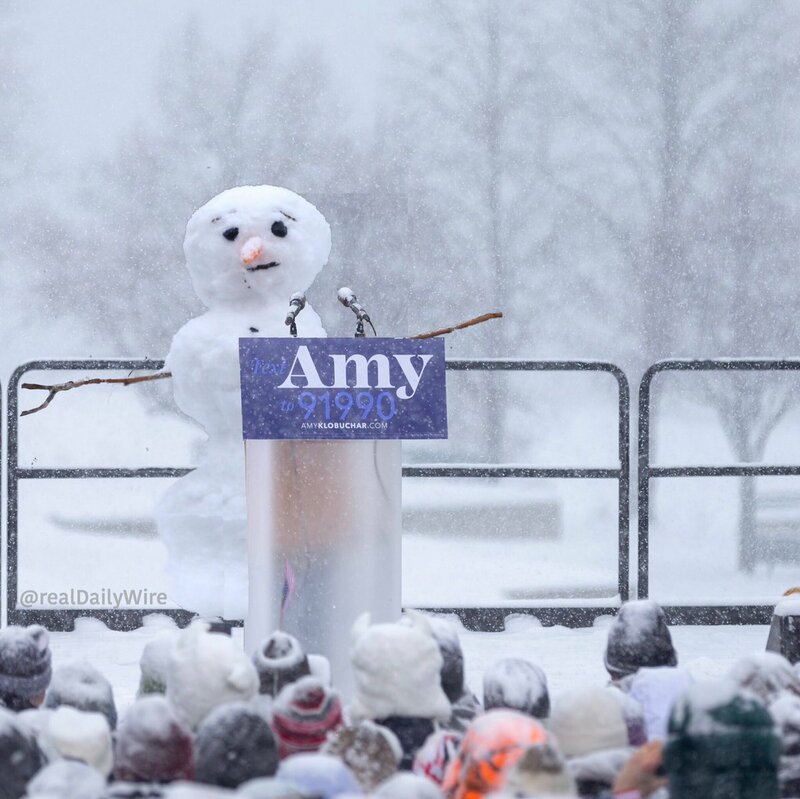 You can't really see the snow that great in this photo, but her hair was covered in snow by the end of her speech. It will be interesting to see how she does. I think she has a chance to separate herself from some of the other women if she is a good campaigner. Obviously some of the other Democrats are already worried about her because of the stories spreading about how hard she is on her staffers. why worry about your bank acct., eh? comparing beato orourke to abraham freaking lincoln isn't the absolute dumbest thing I've ever read on al gore's innwebz, but it's certainly top 10. (02-10-2019 05:58 PM)EagleX Wrote: I'll never understand the beato phenomenon. 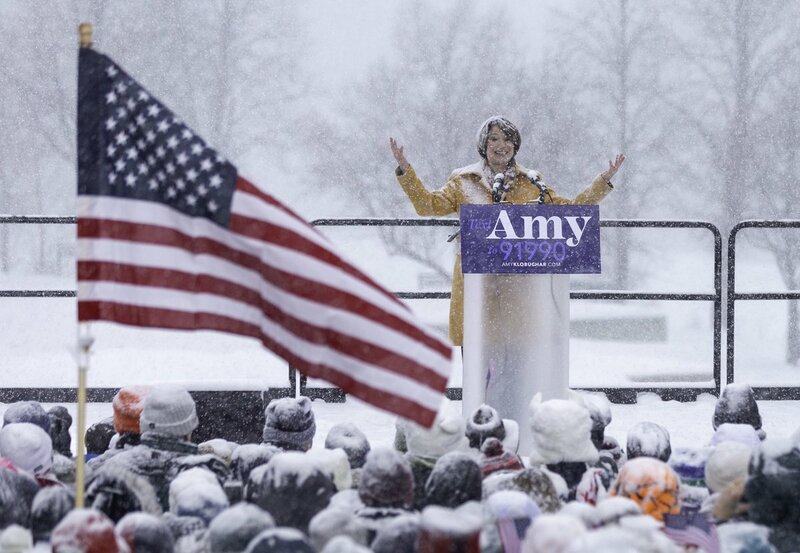 losing a senate race seems to get you a lot in the dem party these days. I thought she was a good one until I heard about her abusive behavior. I'm sticking with Andrew Yang. (02-11-2019 02:22 PM)Ohio Poly Wrote: I thought she was a good one until I heard about her abusive behavior. I'm sticking with Andrew Yang. How do you square his $1k/month "freedom dividend" with the evidence that everywhere UBI has been tried, it has failed? I see Yang is on JRE tomorrow. I'll be listening. Hopefully Joe doesn't cuck and pushes back a little bit, at least as a devil's advocate, as he claims to support UBI. I like to hear how these ideas fair under scrutiny.